The rumoured split screen multi-tasking mode for iPad will not be featured during Apple's expected iOS 8 reveal at WWDC, according to a New York Times reporter. Respected tech journalist Brian X. Chen claims Apple is indeed working on the heavily-requested, Microsoft Surface-aping feature, but it's not quite ready for the bright lights of the annual developers conference. Chen tweeted: "I've been told that the split-screen feature for iOS 8 isn't ready yet and won't be shown at WWDC. Still a work in progress." The lack of a side-by-side multi-tasking feature, as populised by Microsoft's Windows 8 'Snap' feature, has been identified by some as a weakness, preventing the iPad becoming a true 'post-PC' device. Microsoft, certainly, has mocked Apple mercilessly in its advertising materials for failing to offer such a feature. Apple is apparently planning to rectify that with iOS 8 by allowing users to operate two apps at the same time, while the iPad is in landscape mode. It is thought the feature may make it easier for users to share links and content between two apps, rather than the current awkwardness of having to completely exit one app before entering the other. 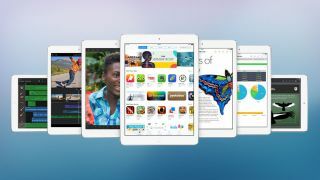 Reports have speculated the feature may only be available to iPad Air users at launch, a device which has both the power and screen resolution necessary to handle the task.